The Campaign Researcher conducts a wide range of research for union campaigns and projects including but not limited to: internal and external organizing campaigns, contract bargaining, post-employment benefits, local and state public policy, community campaigns, basic trainings in research methods and analysis, and various Local programs. Analyze the financial and quality records of public agencies and publicly-funded private agencies. Creatively apply traditional and non-traditional research methods to union campaigns. Develop and implement campaign and strategic research strategies and develop appropriate research products. Independently prepare professional level reports appropriate for contract negotiations, Media persuasion, member education, and presentations before public board and commissions on behalf of the members and the union. Apply research findings to support communication strategies, develop communication related products such as, media “sound bites” or memorable elements pertinent for media or membership, interesting and effective presentations for beginner level member training and persuasive oriented reports and presentations. Lead research trainings for members and new staff in simple research projects include budget analysis, industry-wide wage and benefit comparisons and how to develop costing analysis for contract bargaining. Ability to manage the research component of large and strategic research projects; including the ability to build internal and external political relationships. 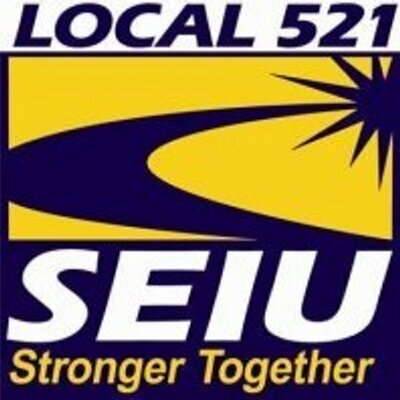 Who We Are: SEIU Local 521 is part of SEIU, Service Employees International Union. Our local represents about 57,000 workers in Central California. Our membership includes thousands of public service workers in the Central Valley. Our mission is to improve the lives of all workers through economic justice. The Service Employees International Union is an organization of 2.1 million members united by the belief in the dignity and worth of workers and the services they provide. SEIU is dedicated to improving the lives of workers and their families and creating a more just and humane society. Learn more about SEIU International. Our local is also part of SEIU, California State Council. Strong commitment to progressive social change and activist experience. Proven ability to utilize information from and about workers, employers, economic / financial research on company or industry to inform and develop campaign strategies. Experience in budget analysis of public agency and publicly funded agency budgets including familiarity with funding streams for public services. Understanding of public employee post-employment benefits including retirement, healthcare and wage standards. Ability to carry out assigned and required tasks independently and in a competent and professional manner in keeping with SEIU's overall goals and expectations. Proven ability to work with research staff within a labor or progressive community organization (for Leads). Firm grasp of the legal and regulatory environment within which unions and union research operates. Bachelor’s degree in labor studies, public policy, economics, labor studies or similar field of study. Driver's license, auto insurance and automobile. Willingness to work long and irregular hours and attend required evening and weekend activities.